I have used Swaam Tech for both my business cards and website design. Extremely happy with the professional service you get with a quick response to questions and helpful advice. Would highly recommend. Our Web and Mobile app designer start the design process by doing market research, gathering all information keeping in mind the audience your business wants to hit. After that designers start working on the Look and Feel of the App. The Web and Mobile app designers highlight elements like company logo, tag line, lay out and colors theme that help strengthens the brand. In the next step, our creative web and mobile app designer create one or more pages/screen designs for the app and work on the final designs only after the customer feedback. They will exchange ideas until you arrive at the final design for your web or mobile application. It saves your time and money by highlighting UX problems that encounter early in the process and solve them without any damage done. Rapid visual prototyping of a Social Networking mobile application. Designed a Word Press theme for an Auction website. CMS Theme design of a Privatization Holding Company. 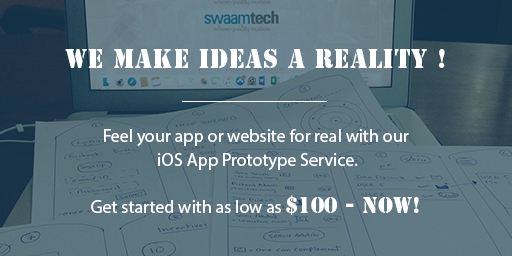 Swaam Tech web and mobile application team want you to see what your app will be like in future. We make sure its navigable, accessible, looks great and represent your company, product or person. Does your UI designer following the Latest Trends and Patterns of UI?